Here is a list of 10 of the most essential tourist attractions in Spain. These are the places and sights most worth seeing when you visit or holiday in Spain. Make sure you visit all of these ten most famous places to visit in Spain. If you think we have overlooked an ‘essential’ tourist attraction of Spain then do let us know and perhaps we can add it to this list. When you look at a country such as Spain, it’s difficult to narrow down all of the attractions and experiences to the top ten. However, here are the top ten attractions in Spain that we think you shouldn’t miss. 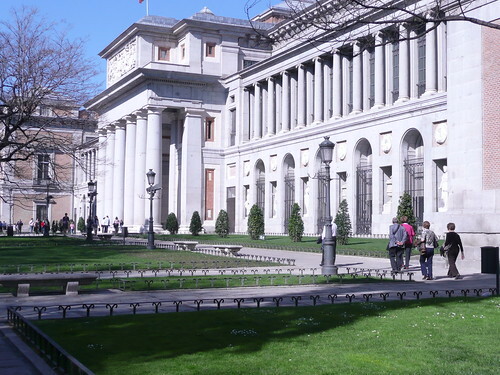 The Prado is considered to be the world’s most premier art museum. With some 4,000 masterpieces, you can explore the history of Spain and the art movement all under one roof. Many of these art featured in the museum was acquired by the kings of Spain and include the works of the masters including Goya, Caravaggio, Fra Angelico, Botticelli and Hieronymus Bosch. La Alhambra is a Moorish fortified palace. The palace complex is vast and occupies a large portion of the city. Be sure to plan an entire day for exploring the grounds. If you’re visiting in the summer, be certain to purchase your tickets well in advance. La Alhambra is considered to be one of the greatest representations of Islamic art and architecture. 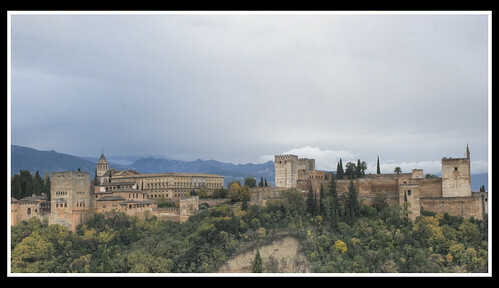 The La Alhambra provides a variety of sights within itself including the Alcazaba, the palace’s fortress that offers spectacular views of the city. The Sagrada Familia is Gaudi’s unfinished cathedral. Work began on the cathedral in 1882 and two years later the architect resigned. Gaudi secured the commission to complete the cathedral and he secluded himself on site to work on it. He lived and worked on the cathedral until he died in 1926 and the cathedral was never finished. The building features Gaudi’s transformed Gothic style including sidewalls, vaults and piers. 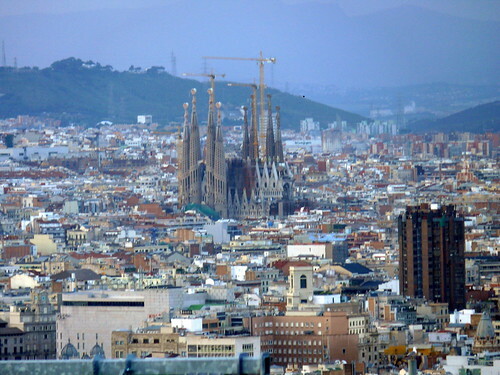 In 1979, work was started on the cathedral to complete it as Gaudi himself would have. Experience the design of Frank O. Ghery at the Guggenheim in Bilbao. The museum opened its doors to the public in October of 1997 and is considered one of the most significant architectural structures of the 20th century. Founded by the Romans, the city of Cordoba features a variety of treasures including a mosque-cathedral, the Calahorra Fort, and the Jewish Synagogue, which is now a museum. You also want to check out the medieval quarter of La Juderia. It’s not recommended that you run with the bulls yourself, but definitely have fun watching others do it! This is one of the most famous festivals in Spain, but do go with caution, because it’s not only the runners that have been injured. The Las Ramblas is just for pedestrians and offers outdoor markets, shops, cafes and restaurants. You can spend the entire day strolling and looking for hidden treasures and sampling all of the great cuisine that Spain has to offer. Don’t forget to hit the tascas for some tapas. Salvador Dali is one of the most beloved painters in the world. Experience his mausoleum and museum; it’s one of the highlights of northern Spain. Driving through the Andalucian mountains, you’ll upon Ronda. This little town is set atop a huge cliff and features a magnificent bridge that spans a gorge between new and old Ronda. You can also find the oldest bullfighting ring in Spain and roman baths. You’ve simply not seen everything in Spain without enjoying the cuisine of the country. No matter which city or town you’ll visit, you’re going to find a new style of cuisine to try. Take your time and try them all from the ensaimada and tapas to the coffee and paella. If you are visiting Spain then we hope this guide to the 10 essential Spanish tourist attractions has been useful to you. Let us know if you think we should have included other sights and attractions in Spain.